Nike Flyknit, which debuted at the 2012 London games with the Nike Flyknit Racer, is a digitally engineered knitting process best known for its role in lightweight, formfitting and virtually seamless shoe uppers. The traditional way to construct Nike Flyknit for a shoe is by knitting a flat upper, which is then attached to a midsole to create the shape of the shoe. 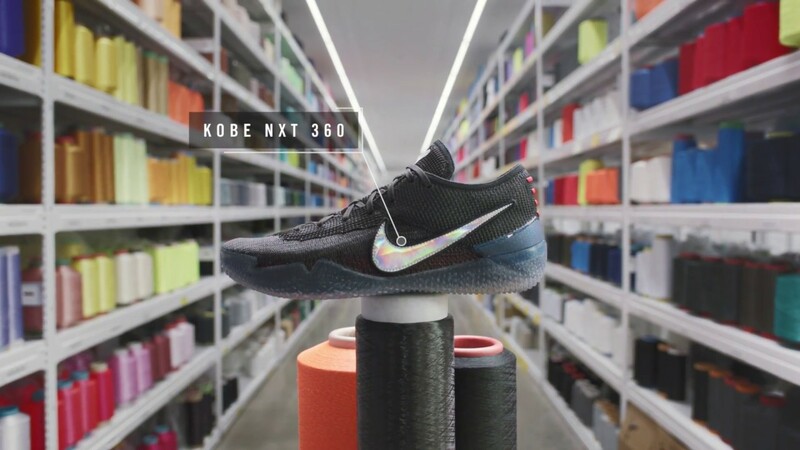 Now, a major advancement in Nike Flyknit technology allows for a shoe upper to be constructed in a complete 360-degree form that wraps the entire foot, helping athletes feel more secure and controlled during their movements. To make the upper, engineers use complex knitting structures to create a closed anatomical form that mimics the shape of the foot. Following, the upper goes through a thermoforming process to provide shape and support underfoot. The result is a lighter, breathable shoe that offers a more precise, second-skin feel.